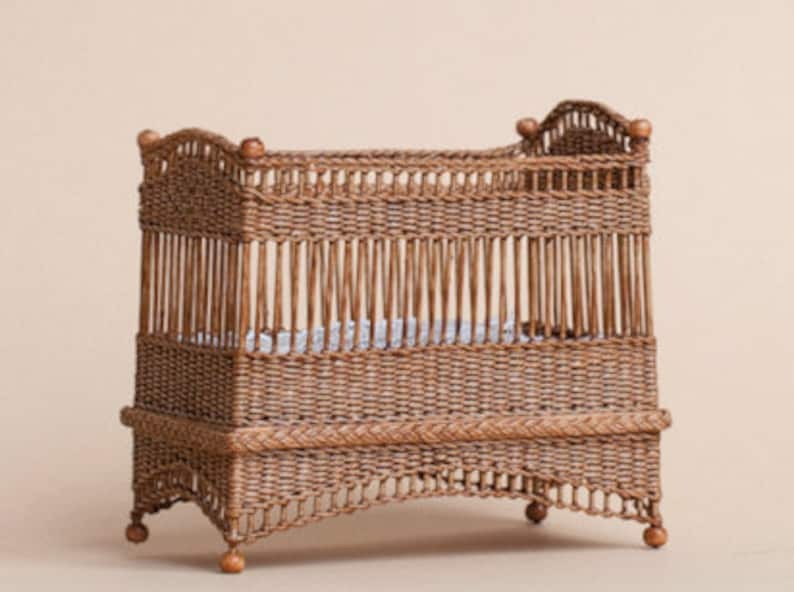 Dollhouse miniature, Wicker child's bedstead, light brown, white cotton bedding with lace, measures H 76 mm. x B 46 mm. x W 82 mm.